From the vey beginning of working on Mackenzie and Brian’s suite, I knew it was going to be one of my all time favorites. I mean, anyone who want’s to include their pet into their custom crest (in this case it was Hank, the golden retreiver) is an A+ human being in my books. I especially love when the aesthetic for something starts with a single color. With this suite we started with dusty blue. Gray October skies, vintage floor tiles, blueberry macarons. 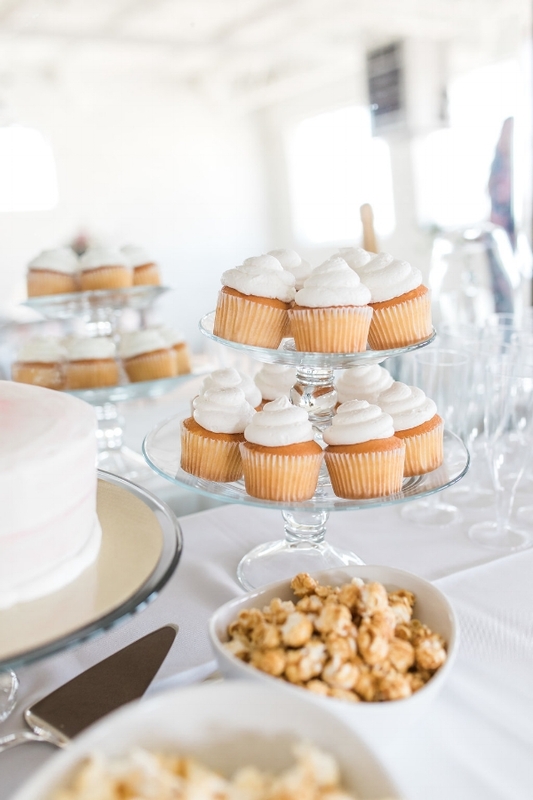 Mackenzie wanted her wedding to feel cozy and comfortable, while keeping the spirit and warmth of summer in tact. With all of that in mind we were able to create a suite unique to her vision. Romantic but not sappy. Sweet but not sugary. Another wonderful part of working with Mackenzie and Brian was the chance to work with their wedding planner, Sarah Rhodes-Boyce. Sarah’s attention to detail and incredible ideas are what contribute to making her such a positive presence. 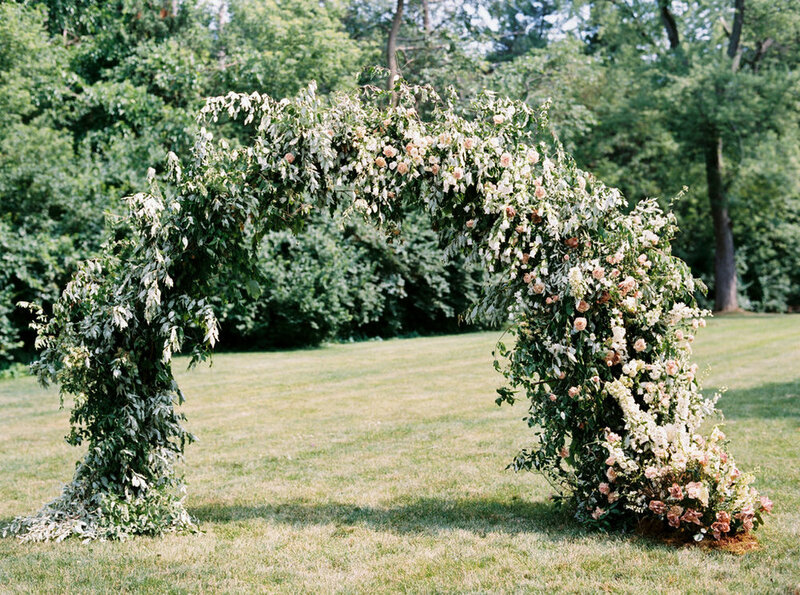 She was able to bring Mackenzie’s vision to life with so many unique executions, like the beautifully dramatic floral arch for the wedding ceremony. Along with creating their Wedding Invitations, we also worked on Mackenzie and Brian’s day-of pieces, including menus, programs and table numbers. I love when we get to be a part of creating a cohesive vision right from the beginning with the invitation suite, all the way up to the wedding day. We used different versions of their custom crest on the menus and programs, and incorporated custom floral watercolors on the table numbers. What brings it all to life is seeing the pieces arranged among the beautiful table settings and romantic floral arrangements. I especially love how stunning the menu looks delicately tucked into the dusty blue linen napkin. As the summer comes to a close and we all find ourselves getting ready for the crisp and coolness of fall, I love taking the time to reflect on suites like Mackenzie’s that embrace the highlights of summer. Cool mornings of dusty blue, warm nights of pink and blush. Lush greenery and the drama of all things growing. What better sendoff for a lifetime of love?